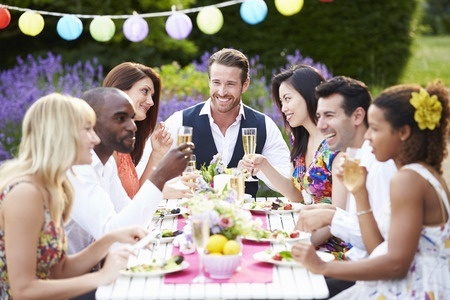 A cocktail party is the classic social gathering. At what other time, in a single location, is it plausible to find a sparkle of romance, business deals made, and social standing elevated - or plummeted? But no matter the goings on, there is always one constant: the level of decorum expected from each guest. It begins with your arrival. Since cocktail hour isn't a sit-down affair, it is fine to arrive after it begins, but never early. A host is usually fine-tuning food, drinks, and set-up well into the last minute. Your early arrival will only escalate the frenzy. 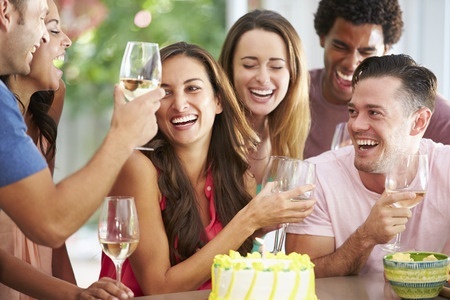 Just because it's a party doesn't mean you can totally cut loose. Know your drink limit before you arrive. If you're attending primarily for networking purposes, one or two drinks is an appropriate maximum. Over-indulging is a good way to invite trouble to any gathering. A host's nightmare! No one wants a drunk guest falling down a staircase, hitting on a VIP - or any guest for that matter, or falling asleep in the onion dip. If you find yourself sipping a little too hurriedly, switch to water or soda. 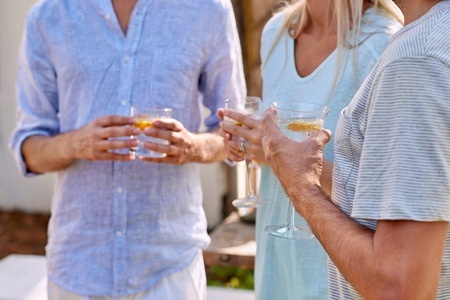 And if you don't drink, having water or a non-alcoholic beverage in your glass works perfectly well as you go about the party mingling and meeting new people. After all, isn't that why you came? For some people, cocktails are like truth serum with a permission slip to talk to anyone who will listen. Be very careful here! People remember more than you may think, and you never know which sober guest may overhear you and spread the word. Keep all cocktail party conversations civil and never divulge anything you wouldn't be willing to place on a billboard. Avoid monopolizing a VIP's time. If you engage in one-on-one conversation, invite others to join in after a few minutes. Address with respect at all times. If you call him Mr. Mayor at Chamber of Commerce meetings, don't call him Bill at your neighbor's party. You're treating everyone as a VIP if you respect their time! If you arrived a bit late to the party, don't assume it's okay to stay late as well. When guests begin to filter out, it's probably time for you to go, too. But no matter what time you leave, thank your host and follow up with a thank you note, or an email if that feels appropriate. The best guest on any occasion is mindful, helpful, and cheerful. 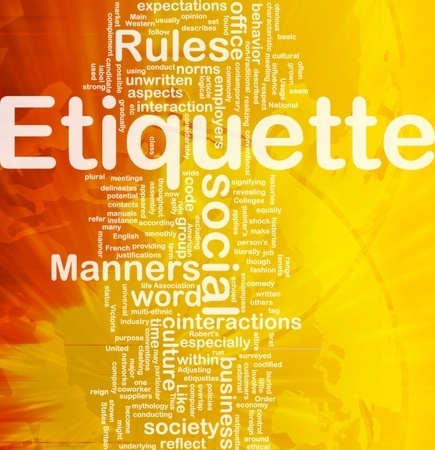 The "etiquette-ful" guest practices the art of putting others first while being true to personal values. She notices when a newcomer needs to be introduced around and is happy to meet the challenge. If ice is running low, or the hors d'oeuvre tray needs refilling, he takes care of it - or offers to. There is never a lack of good cheer when an ideal guest is in attendance. Conversation is always positive and smiles abound.